George is to star in Tyne, by Michael Chaplin, at the Live Theatre in Newcastle upon Tyne in June and July 2013. 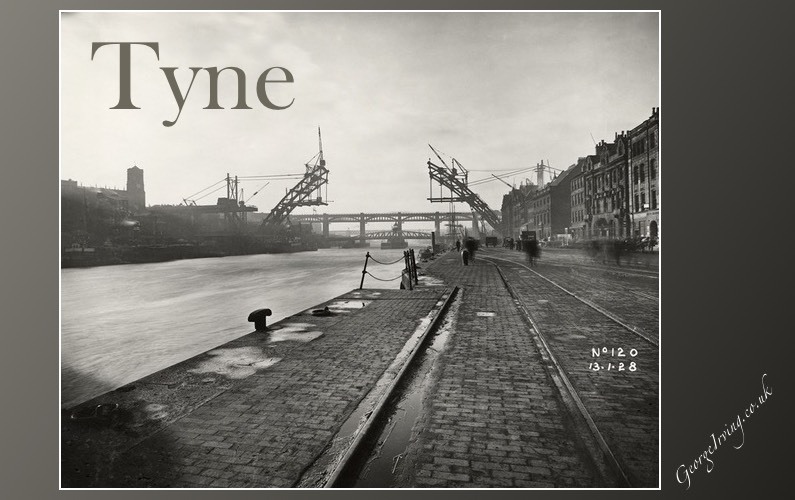 Tyne is based on the work Tyne View. Tyne View follows the July 2011 journey of four Tynesiders, Michael Chaplin, Birtley Aris, Charles Bell and Christy Ducker walking the length of the River Tyne from South Shields to Tynemouth via Wylam, through changing communities, industries and myriad landscapes. Interviewing a whole range of Tynesiders along the way the book is an eclectic work of illustrations, photographs, poetry and a written narrative that perfectly captures the entire adventure. The production opens on 27 June 2013 running until 20 July 2013 with a range of supporting events and is part of the Festival of the North East running in conjunction with The Port of Tyne.